Aspire Zone Foundation’s (AZF) social responsibility focuses on promoting a culture of sports amongst all members of the local community, and encouraging them to adopt healthy and active lifestyles. During Ramadan, AZF organised a series of visits around leading civic and social institutions in Qatar that share AZF’s strategic objectives of empowering the local community and supporting its members including children, families and the elderly. The visits included the Shafallah Centre for Disabled People, the Orphans Care Centre “Dhreima,” the Qatar Foundation for Elderly People Care “Ihsan”, and Hamad Medical Corporation. The series of visits kicked off with the Shafallah Centre for Disabled People, which provides specialised services in accordance with global best practices to help individuals with disabilities achieve maximum independence. During AZF’s visit, Mr. Salman Al-Ali, Representative from the Public Relations and Communications Unit at Shafallah, welcomed the delegation, saying: “This visit underscores the meaningful social role AZF plays in the local community and demonstrates their ongoing commitment to local initiatives. It goes to show why the people of Qatar are known for their compassion and care. We have seen our students interacting joyfully with the visitors and I am looking forward to more visits from AZF in the future”. The officials of the Shafallah Centre took the visiting delegation on a tour of several departments and units that offer behaviour analysis services; evaluation and diagnosis; social services; and counselling to students and their parents in order to strengthen the learning process for students as well as assist them and their families with psychosocial and social adjustment. Following the tour, AZF delegates visited the classrooms where they had friendly conversations with the supervisors and interacted with the children who received sports-themed tokens and gifts. In the first week of Ramadan, AZF’s delegation headed to the Orphans Care Centre “Dhreima”, carrying gifts and tokens aimed at promoting sports and physical activity amongst the children of the centre. During the visit, Dhreima’s officials welcomed the delegation and expressed their appreciation for the visit that brought joy and happiness to children of the orphanage. Dhreima’s officials also let the AZF delegation know that Aspire Zone is one of the children’s favorite places to visit in Qatar. Dhreima officials ensured that the centre takes a keen interest in interacting with various institutions and sectors in Qatar, as part of its community engagement efforts. 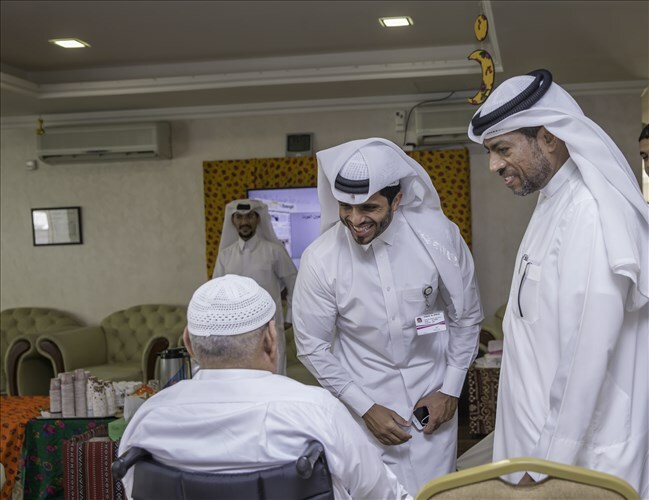 During the second week of the Holy Month, AZF’s delegation visited the elderly at the Qatar Foundation for Elderly People Care “Ihsan”. During the visit, Ihsan officials expressed their delight with AZF’s visit and thanked them for their kind initiative, which reflects a spirit of accountability amongst all members of the community. The delegation was welcomed by Mr. Mohammad Saleh Al Nosf from Ihsan, who stated: “Such visits are an opportunity for the community to engage with the elderly at the centre, helping fulfil one of our major objectives. The visit demonstrates AZF’s commitment to social responsibility”. 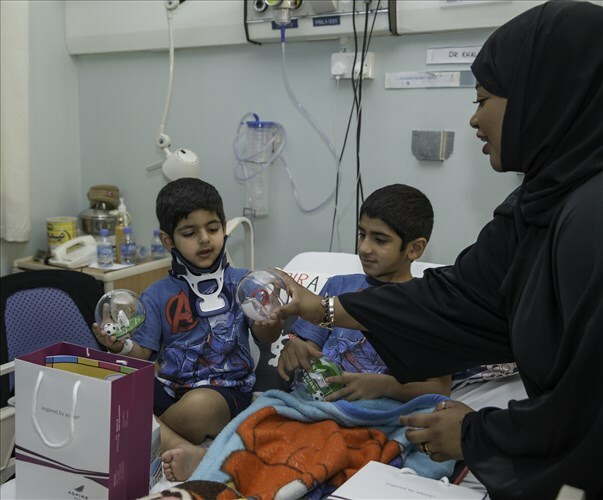 The final stop in the series was during the third week of Ramadan to the Pediatric Oncology Ward at Hamad Medical Corporation, during which AZF’s delegation provided moral support to the children seeking treatment. The delegation was taken on a tour of the hospital’s departments and services, and then visited some children seeking treatment at HMC to wish them well, offer them some gifts and provide them with moral support. During the visit, HMC officials expressed that occasions like these during the Holy Month demonstrate how seriously Qatari institutions such as Aspire Zone Foundation take their civic duty and their level of commitment to building strong community relations, adding that such visits provide an enormous morale boost to patients. The series of visits highlight the extent of AZF’s efforts and its commitment towards the local community by reaching out to social institutions to spread joy amongst children, families and the elderly.